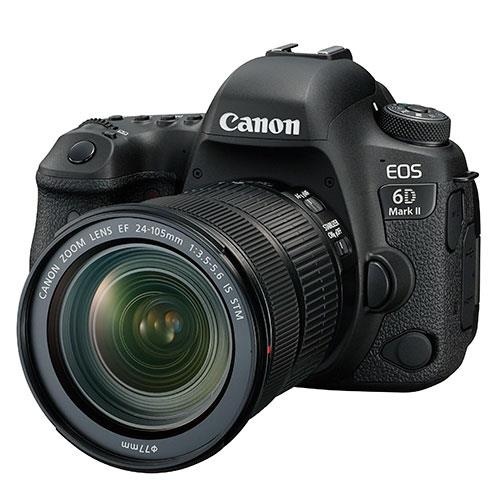 Branded as the next step in full-frame photography, the Canon EOS 6D Mark II comes ready to go straight out of the box, giving you a premium quality body that takes your skills to a new level. 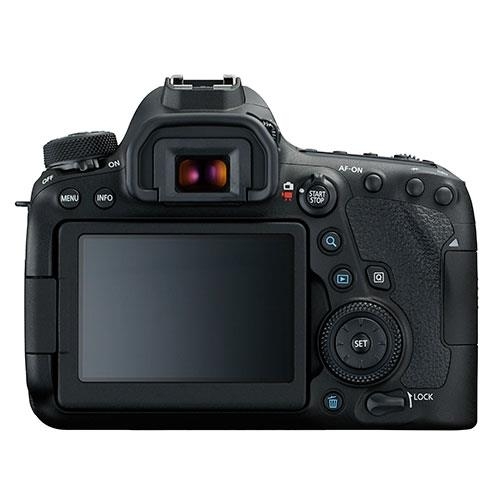 The original Canon 6D, launched in 2012, has proved to be a reliable and popular camera. Its latest incarnation, the EOS 6D Mark II, is set to become a big hit with intermediate to advanced photographers who want a do-anything camera with plenty of technological clout. If this is your first foray into full-frame photography, you'll notice an immediate difference compared to standard DSLR cameras with smaller sensors. Full-frame gives you a wider 84° angle of view, compared to a 62° diagonal angle of view from most standard sensor cameras with a 35mm lens. You'll also immediately notice the improved optical quality. Combined with the incredibly high ISO sensitivity for low-light photography, the 6D Mark II is one of the most versatile DSLRs available. The 6D Mark II is intuitive, user-friendly, and responsive, whether you're experienced or new to full-frame photography. 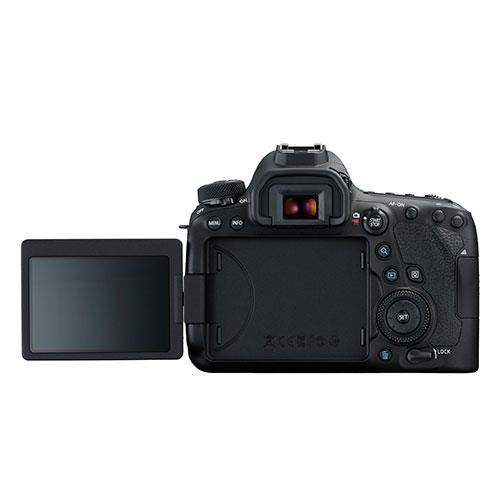 Get even more creative with DSLR videos and movies, with full HD video, continuous shooting of 6.5fps, in-camera 5-axis digital stabilisation for blur-free shooting, and built-in GPS that geotags images as you shoot. The ideal companion for both landscape photography and macro work, the 6D Mark II offers real versatility and next-generation picture quality for performance that inspires confidence.